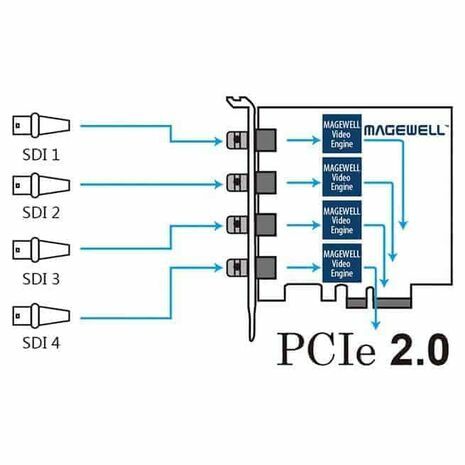 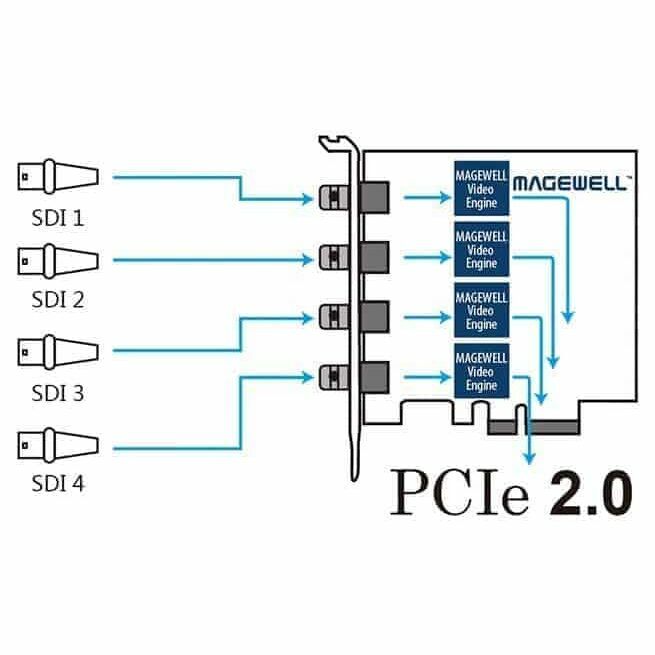 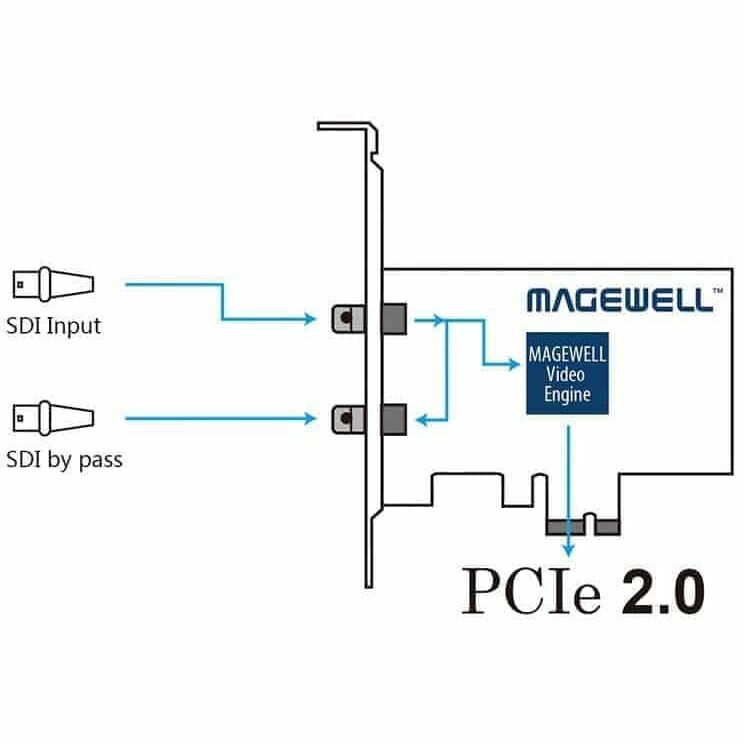 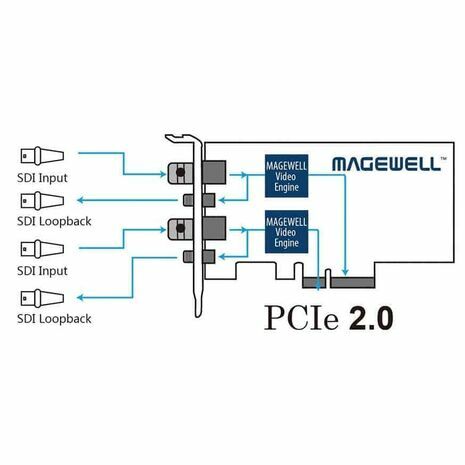 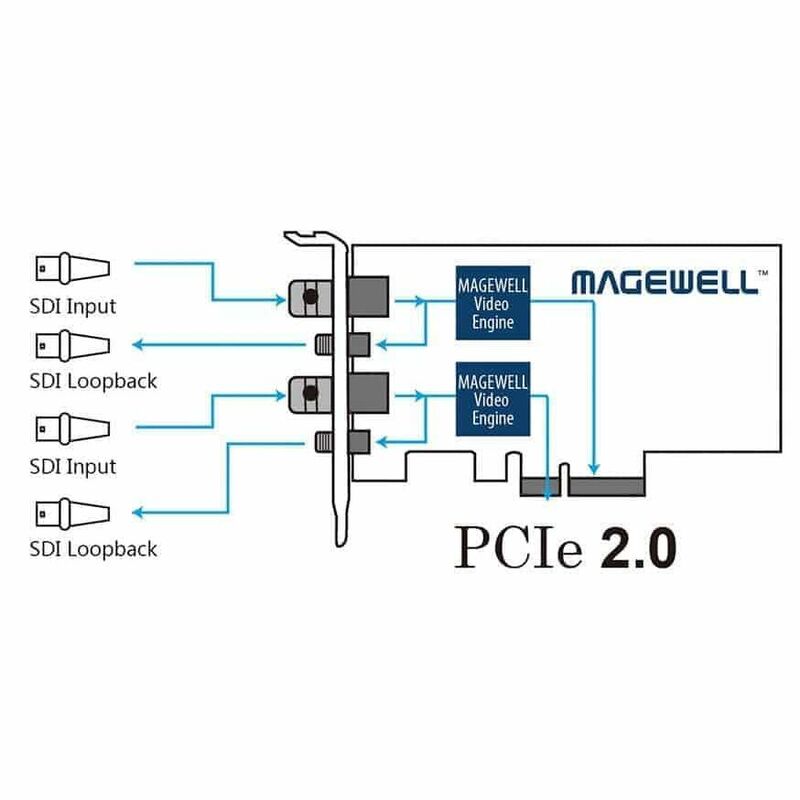 The Pro Capture SDI Card from Magewell is a normal-profile PCIe Gen2 x4 card that allows for capturing 4 channels of SDI input. The card supports multiple color sampling modes, 10- and 12-bit color depths, up to 8 audio channels at 48 kHz, and output resolutions up to 2048x2048 with frame rates up to 120 fps. 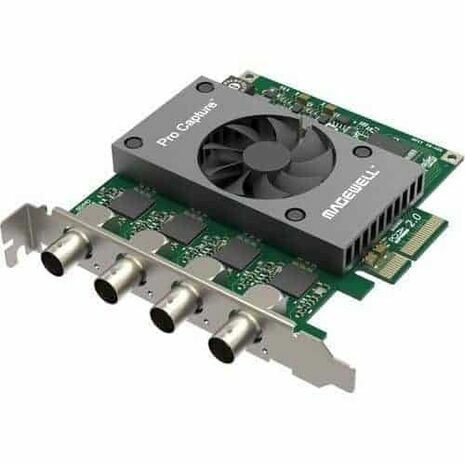 The card is also capable of numerous video processing features, including cropping, scaling, de-interleaving, aspect ratio conversion, color format conversion, video frame rate conversion, and video OSD composition. 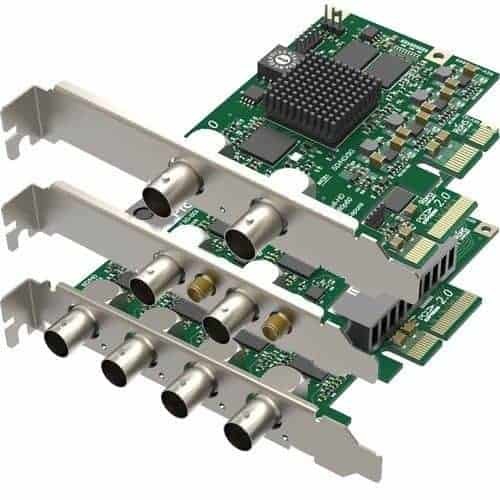 Pro Capture Quad SDI Card supports multiple cards per system and unlimited output streams with independently adjustable parameters per stream. 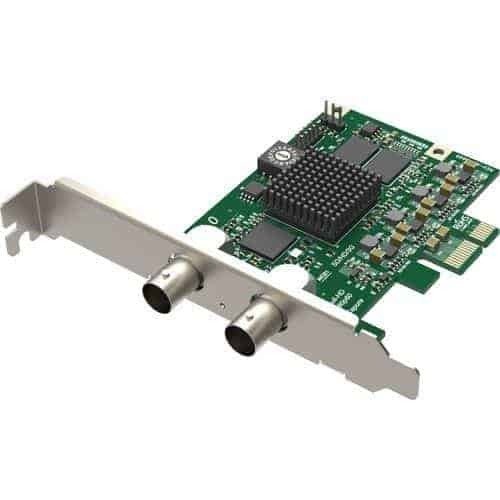 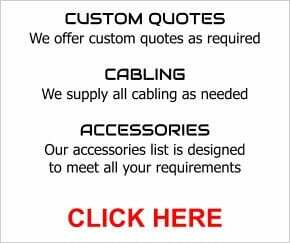 Additional features include ultra-low latency, timestamp and A/V synchronization, and LED status indicators. 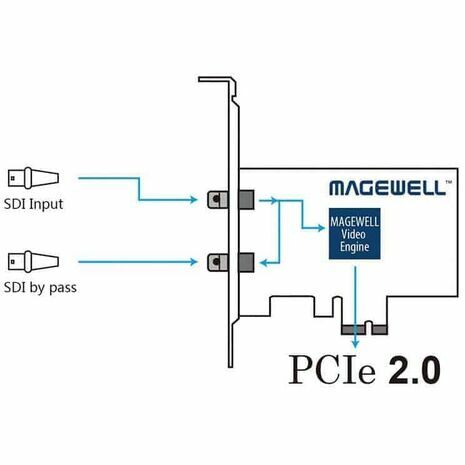 The card supports both Windows, Linux, and Mac operating systems, multiple APIs for Windows and Linux, and provides Windows SDKs for easier integration.